Fawn and Rose is currently being featured for Day 1 of the Handmade Marathon! It's a great idea, straight from the brain of Alison, the crafty maven behind The Petit Cadeau blog, who set up the event to coincide with her first attempt at the New York Marathon - read more about ithere. 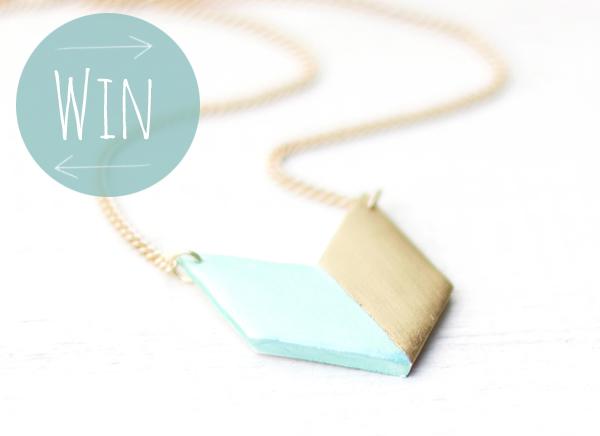 The Geometric Chevron Split Triangle Necklace in Mint/Gold!